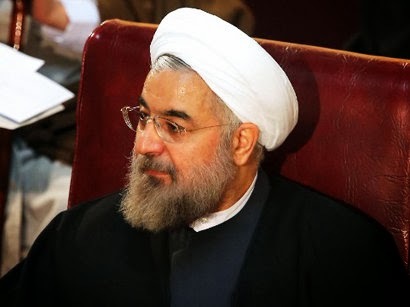 Iranian President Hassan Rouhani said today that previous administration's debts to the banks, private sector and contractors amount to 1800 trillion rials ($150 billion in official exchange prices or $60 billion based on current free market rate). Rouhani made the remarks during a gathering of Isfahan’s Majlis members. Creating debt is in this case a rather a form of daylight robbery - politically and economically - 'debt' is a qualification for borrowed money in the case the money is invested in some production - not here; but hey, at least we know beyond any doubt that this kind of robbery is rather well protected within islamo-nazi republic.